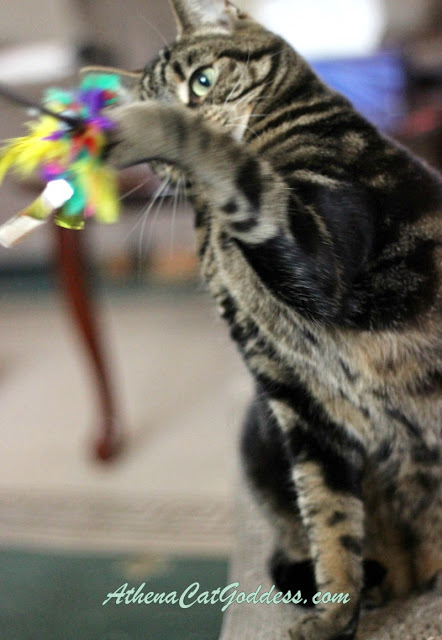 Mum says I need more exercise so here are some more action shots of me playing with my new feather toy. Have a fun Wednesday, everyone! My cat bro Bert needs more exercise, but he eats all his toys, even the wand toys get ripped apart when Mom tries to play with him. Those are great action shots. Great shots! You're looking good, Athena! 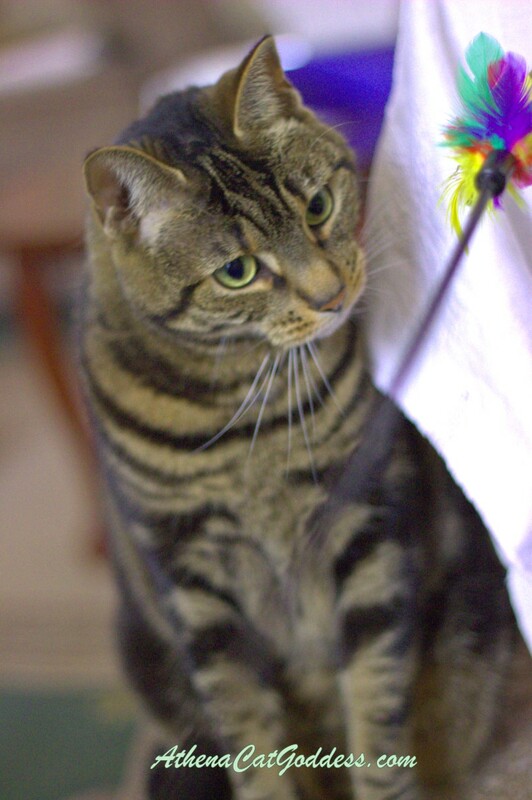 Athena, you are purrfect just the way you are! How can your hoomin possibly think you need to change in any way? Harrumph! Exercise, schmexercise! Great action shot, by the way. Looks like you know how to have fun, Athena!